Youth mentors are the heart of our character development programs. They provide positive relationships and a safe environment for students to develop self-awareness, find value in themselves and in their community, and to gain a positive vision for their future. 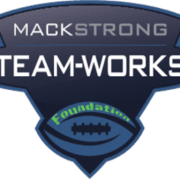 Our mentors allow middle-school students to see first-hand the character values at the core of the TEAM-WORKS StrongMind, StrongBody, and StrongCharacter curriculum. Our Mentors embody self-discipline, trustworthiness, respect, overcoming, having a noble mind-set, and generosity.